Let DMMD’s team help your company become more productive by developing customized software solutions for a wide range of applications, such as: multidimensional signal processing, data acquisition, networking, databases and web integration. Our team excels at projects that require ingenious signal processing, real-time data acquisition and networking solutions. If your business requires advanced signal processing (1D, 2D, 3D, and multi-D), data acquisition, networking and databases to solve a challenging problem, or to help you stay ahead of your competition, then DMMD can help. For mission critical applications, where performance is important, DMMD’s software is written in C/C++, OpenGL and other GPU based language. We can integrate our software solution across a wide range of hardware platforms and OSes (Windows, Mac OS, Linux, Android, iOS and ARM devices). If interfacing to external hardware modules, such as cameras, encoders, ADCs (analog to digital converters), or any type of hardware, DMMD’s team has the experience and track record to successfully complete your project. Since the company’s inception in 2002, DMMD has worked with large and small companies to provide state of the art multidimensional signal processing and networking solutions. Our team has developed, patented and licensed state of the art image processing and data analysis tools for applications such as: preventive maintenance, medical viewers, 3D scanning, image servers and others. To get a good understanding of your problem we will first discuss with your technical needs. This process is very important to make sure that both of our teams have a clear understanding of your needs. After having a solid understanding of your desired solution, DMMD will suggest several different approaches. Our advantage is that we can integrate our existing software tools to reach an optimal solution in a reasonable time. Once the project development starts, DMMD will provide you access to: nightly automatic builds and tests, UML based software design documentation, a bug tracking system where you can enter bugs and feature requests as the development moves forward, and a WIKI website where we provide details on the usage of the developed software. On a regular basis DMMD will provide you with updates of the development process. Traceability and transparency is what DMMD’s software development is all about. DMMD can lower your development costs and speed to market by leveraging existing DMMD software modules and other open sources. Provide an enhanced and highly customizable image viewer, editor, processor, and general user interface. For most signal processing applications Visere is a good foundation. Provide an advanced, parallelized data processing engine. For signal processing applications we use Algorithms. 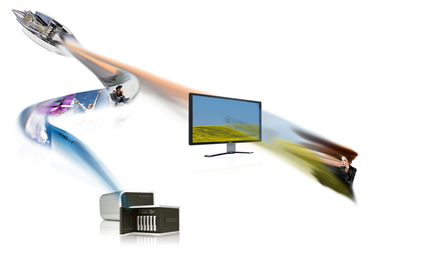 Provide an advanced data network management system for data sharing. For image sharing we use Exuo. By leveraging existing software components, DMMD can customize your signal processing and networking software quickly and efficiently, while simultaneously lowering your development costs. DMMD is a team of highly skilled software developers and signal processing engineers that can help your business become more competitive by developing efficient software solutions for signal processing and networking based applications. To discuss your software development needs, please email us at contact@dmmd.net. Be sure to also check our blog, which contains articles that our development team has written.